Young leatherworkers will enjoy decorating these pre-cut shapes. 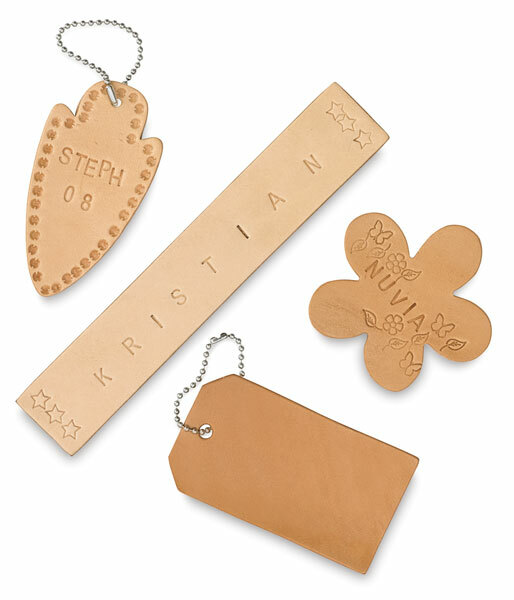 The natural tan cowhide can be stamped, or kids can decorate them with rubber stamps or markers. Each shape contains a pre-punched hole for attaching to a keychain or necklace. Choose from styles that appeal to both boys and girls. They’re great for school, camp, and scouting projects.